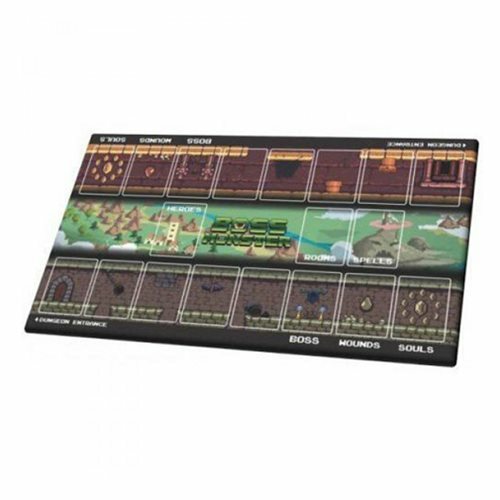 The Boss Monster Playmat is sure to enhance players tabletop experience. The mat layout is optimized and labeled for a two-player game, making Boss Monster even easier to teach! The mat measures about 24 1/4-inches long x 14 1/4-inches wide. Ages 13 and up.